Birchwood ply wood panels (fsc). With AZ desk (patent pending) we are getting involved in the children's furniture market with environmentally responsible considerations. We all at some point had an emotional connection to an object we had shared a unique personal history with. 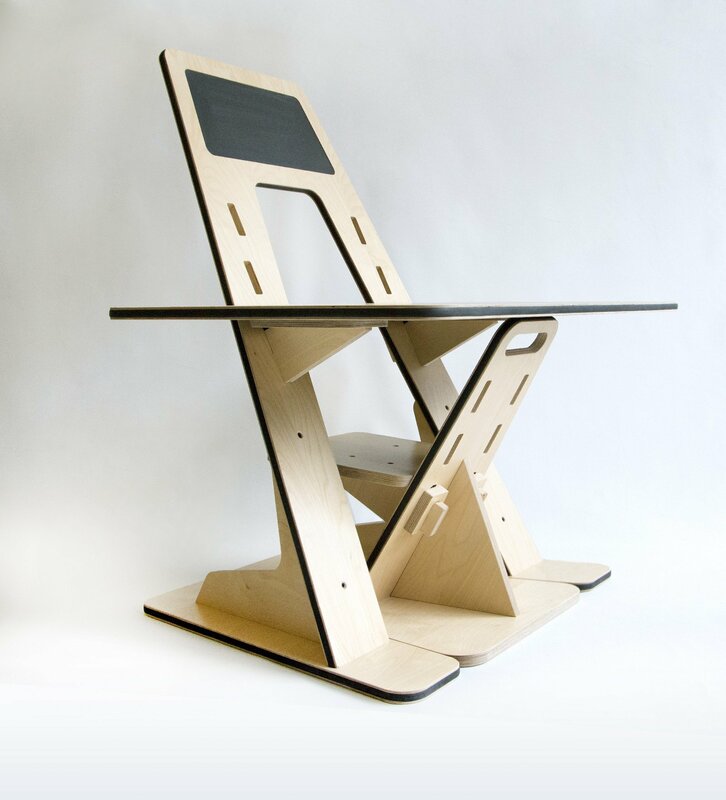 But how can we develop children’s furniture without making it obsolete over time? 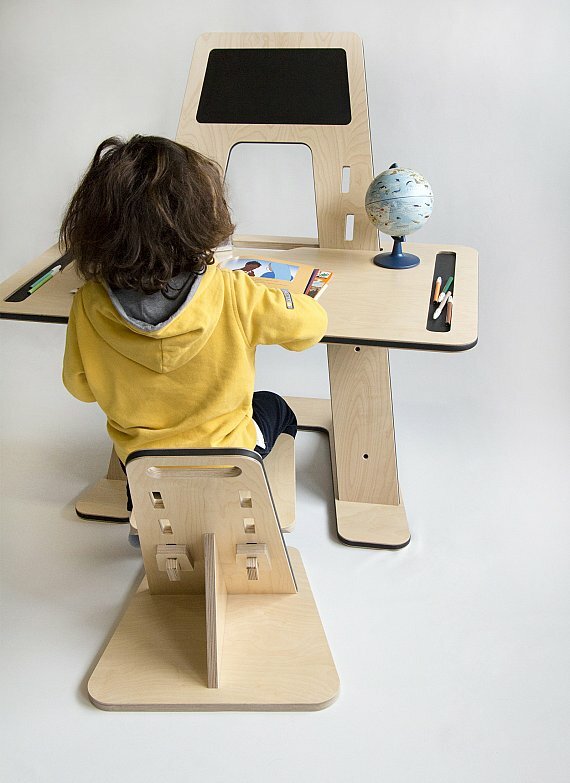 This is why I have created AZ desk, a desk designed with the life cycle of the user in mind that can travel with the child into his/her future endeavours. This project has been designed based on ecologically sustainable development principles. 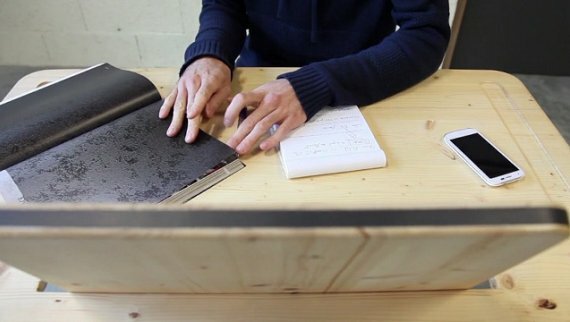 The vertical blackboard with a magnetic surface can be converted into an ergonomic work surface and be adapted to the user's size from young children to adults. The desk is made using birchwood ply panels providing a good stability and a solid aspect to the unit; its texture, grain and natural colour stimulate the development of the child's senses. 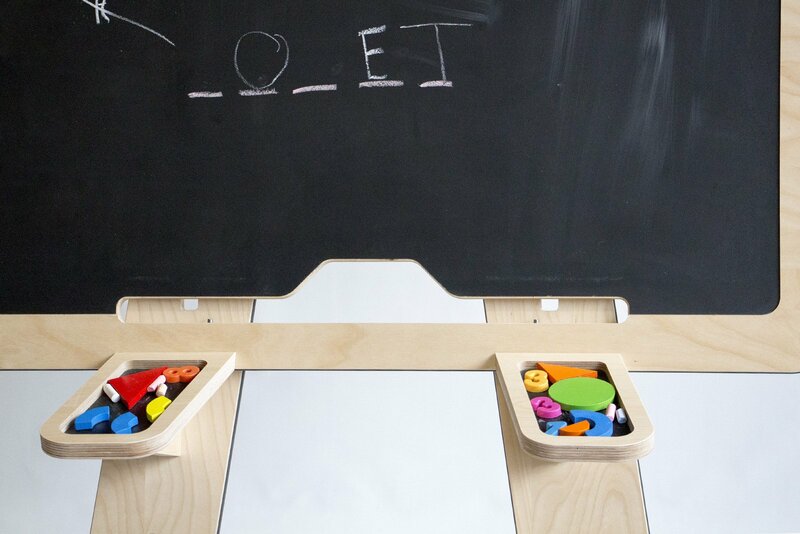 4-6 years old: The vertical blackboard with a magnetic surface allows playful learning and interaction with the user. 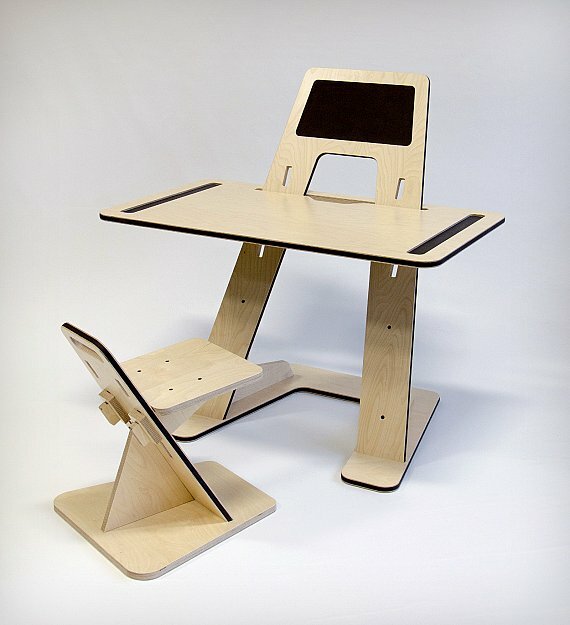 6-8 years old: The seat and work surface at the lowest level give children their own space for independent learning. 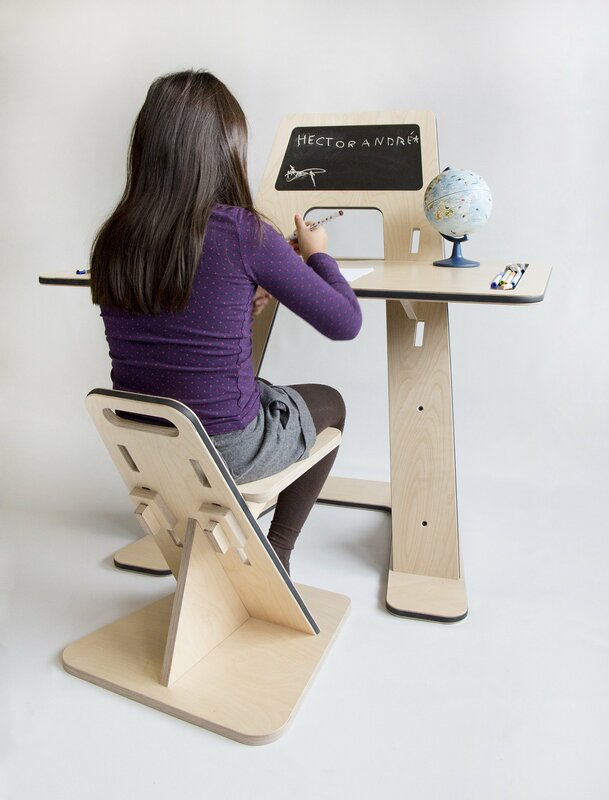 8-12 years old: The seat and work surface at the second level follow the growth of the child. 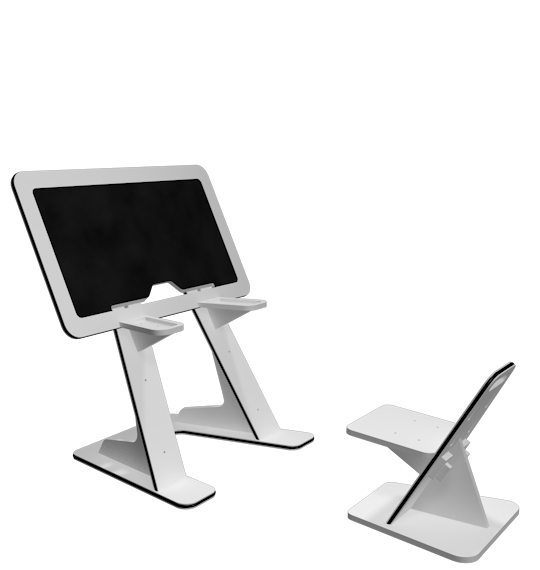 12 years old and older: The highest level offers adult seating and work station which can travel with the child into his/her future endeavours. The AZ desk is made of birch plywood. This type of wood comes from Latvia, a country known for the quality of its raw material and also for its commitment to sustainable development. This wood comes strictly from sustainably managed forests. The temperate climate of the Baltic region favours slow growth that brings growth rings closer together, thereby increasing the quality and strength of the material. What’s more, the crossing of the grain between each layer throughout the wood’s entire thickness ensures high resistance to breaking. 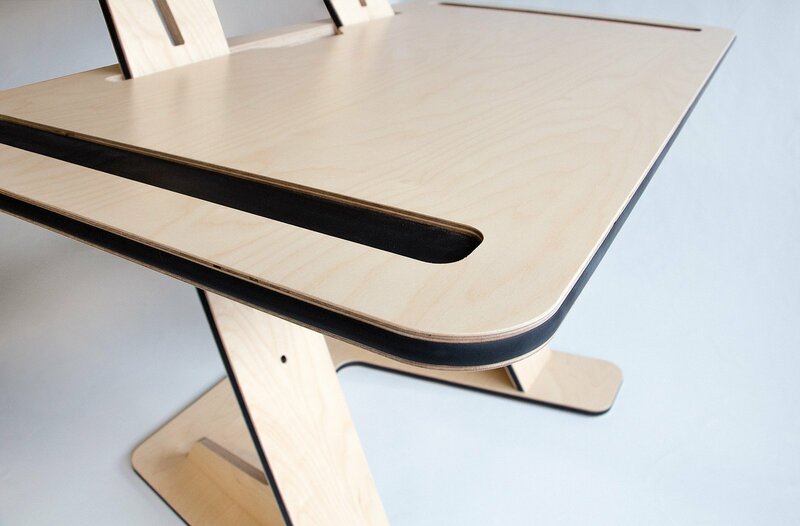 With such raw material and ethical peace of mind, you can be sure that the AZ desk is the ideal choice for your growing child. 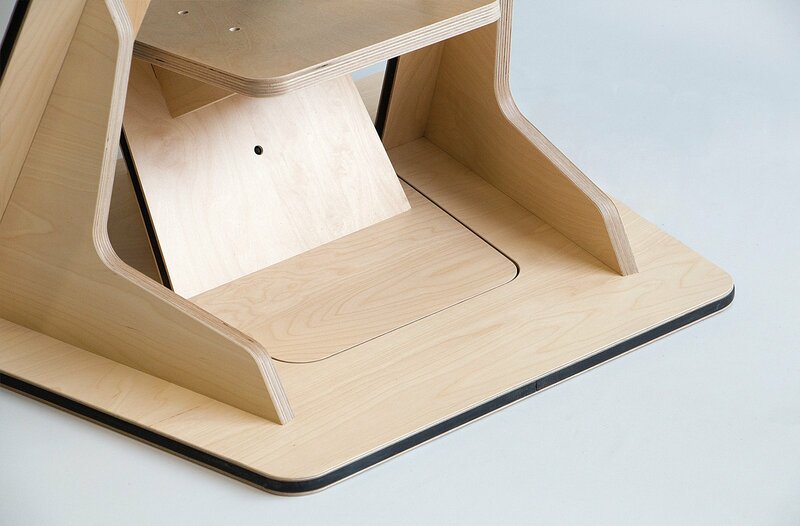 Only 10 desk left !